Priyanka in a still from the show. The show, which is on its second season, is having an impressive run and the actress couldn’t have been more happy. 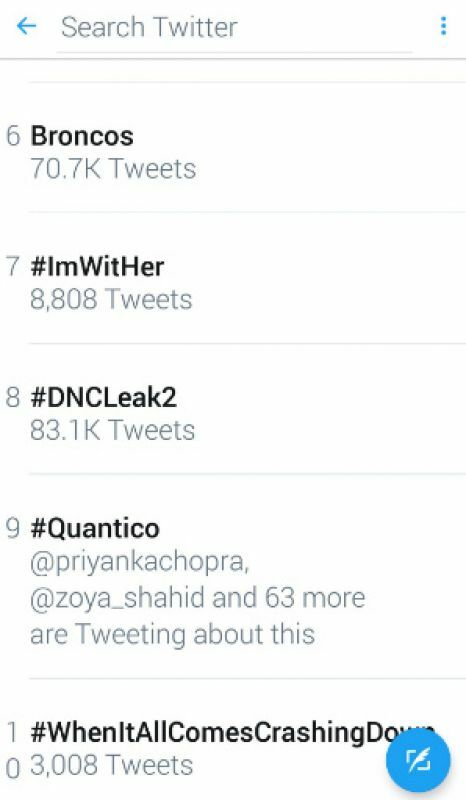 Her ‘Quantico’ team of writers, however, decided to give her a bit of a surprise, when they urged their followers to make the show trend, on Twitter. 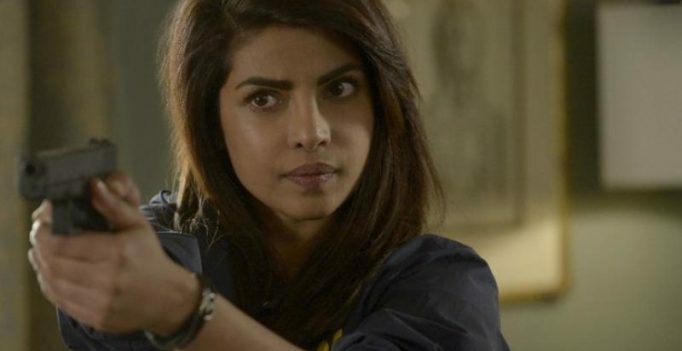 Priyanka has also won the People’s Choice award for her performance in the show. And then, American Twitterati took over and before you knew it, it was trending at No.9 in America. Priyanka, who will next be seen in ‘Baywatch,’ co-starring Dwayne Johnson and Zac Efron, hasn’t signed a Hindi movie, yet. Well, we don’t mind the ‘international’ PeeCee, one bit.